Our company has been in business for over ten years, giving our customers high quality products and services. We are pursuing the dream of a “no dead zone” world, and are working towards it with passion and commitment. We want everyone to enjoy high signal availability when making and receiving calls, as well as superior connection with all your digital data services. 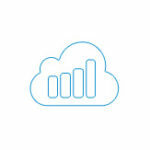 Our experienced professionals and analysts are dedicated to creating the best mobile boosters available in single, dual and multiple band frequencies. The rigorous testing we conduct on our products will ensure certified mobile boosters that are above standard guidelines and have exemplary details, to keep you connected. Our products are specialized for the United States so that you can have superior cell phone coverage regardless of where you are, in city and rural settings, or somewhere in between. They also come with an enviable warranty, that you will not need to use! Our customers are delighted to be able to install our cell phone boosters in as little as 15 minutes and you don’t need any technical experience either! For your peace of mind, all our products are CE Certified and meet the latest regulatory standards. We want to help you get connected and keep you that way, so our support department is available 24/7. We know that issues often arise outside of normal business hours! We believe in our products and offer a 30-day money back guarantee if you are not totally satisfied. We want you to be happy! Say goodbye to low signal frustration! We promise you a 5-bar signal level in the areas that are covered by our products. You can find the perfect cell phone signal booster for your car, home or office. Regardless of the size of coverage you need, whether it’s an efficiency apartment, a large home, or an office of any size, we have the right signal booster for you. Call us if you need help choosing one! We want you to be able to find the perfect cell phone signal booster for your needs and even let you browse by frequency. We offer single band, double band and multi band boosters throughout U.S. Our single band frequency starts at 900 MHz and goes up to the multi band option of 900/1800/2600 MHz. 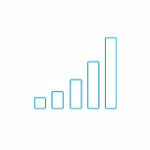 Another way we make it easy to find your perfect cell phone signal booster is to search by the coverage area you need. This works for your office, work place and home. We have boosters that cover small areas of up to 100sqm to larger space coverages of up to 1500sqm. Find your perfect cell signal booster from a variety of U.S. carriers including Verizon, AT&T, T-Mobile, Sprint, US Cellular, Boost Mobile and 4G/LTE. We can help you choose just the right one depending on your needs and the size of area for which you need coverage. It’s so easy! People are naturally curious as to what a cell phone booster is and how it actually works. The simple answer is that boosters, (also known as amplifiers or repeaters), enhance the capability of your cell phone to have better coverage. If you have ever experienced a “dropped call”, or the total inability to even make one, then you know the frustration of wondering why you have a cell phone at all. To give you a little background, you need to know that cell phones are the most widely used means of communication. They work off of wireless networks, and this technology has been growing for decades, with no end in sight. You can use a mobile phone in almost every country in the world, and depending on what provider you choose, you may experience clear, quickly-connected calls and great service…. or, you may not. This is where a signal booster comes in to play. Not all areas have sufficient and reliable cell coverage and by acquiring a cell phone amplifier, it will greatly improve the service you are expecting. This is the “fix” for which you have been searching! By using an outside unit, such as an outdoor antenna, the mobile signal booster is a device that attracts signals via the air, and transmits them to the unit indoors, that boosts the signal. The outdoor antenna and the indoor booster unit conduct transmissions through their wired connection, seamlessly. Using the help of a power source, the complex circuitry from the indoor digital booster, in turn, amplifies the signal to an increased strength, thus giving you additional signal energy. This is done when the booster sends the amplified signal to the antenna that is indoors and is then connected to the unit that transforms the electrical signal as it is received. These “waves” of signal, are the same frequency signals as received by the antenna, that is located out of doors. Cell phones cannot distinguish the change in frequency, since the range won’t vary in its nature, except for the strength, which has been increased. So, to put it simply, the cell phone booster is a device which amplifies the mobile signals you receive, in an effective manner. The external power and boosted signal strength is achieved by reaching the required threshold, which is incorporated by the complex circuitry, enabling you to have the best cell phone signal strength possible. How do cell phone signal boosters work? The step-by-step breakdown that follows shows how the different levels of signal boosters work for your cell phone. 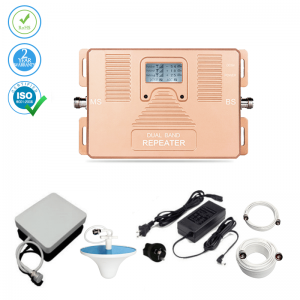 It will help you to understand how the signal is amplified by using a cell phone repeater, whether you are in your home, office, or other place of work. Knowing this basic information, will help you to choose the appropriate cell phone booster by size and the carrier service you currently employ. Every cell phone signal booster uses an outdoor device, (usually a directional antenna), that detects and receives the signals through the air. The majority of these signals are known to have very little strength and are difficult for most cell phones to detect and use. The very small antenna that is inside your cellular device is the reason these signals are so low. It is obvious that the much larger outdoor antenna is able to collect these signals much easier than your phone, yet they go untraced by that same phone. The collections of these “poor, weak” signals then move through a wired medium as it bypasses any local obstructions, before it reaches the booster or amplifier. It is imperative that this function is performed to assure the signal is not further weakened, when reaching the indoor unit, through the “conduction medium”. Once the signal has been transferred to the indoor unit, the repeater conducts the amplification process of these signals by a process of superimposing the “frequency of the carrier waves” to the original weak signals. This strengthens them by being reinforced using the booster and the power it receives from the outlet so that it can perform the amplification satisfactorily. The enhanced signal can then be transferred to the indoor antenna. This broadcasts the improved signals to the whole coverage range. In this area, all cell phones can receive the better, stronger signal which differ greatly from the lesser, original ones, that come from their carrier. 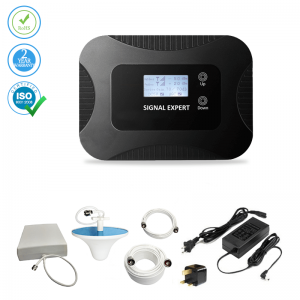 There is an applicable GSM cell phone booster for the various carriers, letting all mobile users experience stronger signals. If you are not satisfied with our product: We strongly encourage all customers to contact us with any problems or dissatisfaction. Since our signal boosters are compatible with different carriers, it is understandable that some customers may have difficulties with the set-up of the amplifier. We will immediately help you identify the problem and seek to remedy it over the phone, by email or other form of communication. 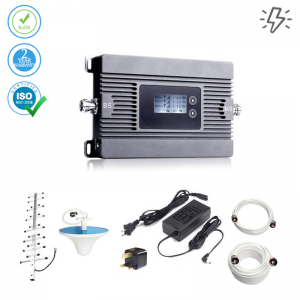 We are committed to your satisfaction and wish for you to be happy with your new booster and enjoy the enhanced signal coverage as soon as installation is complete. If you are still displeased and want to return your cell signal booster, see more about our money back guarantee. What is our money back guarantee? Every product we make must pass rigorous tests of usage, quality and stability according to our guidelines. On rare occasions, an unacceptable product gets past us, whether it is a cell phone booster or an accessory. We aim to create all our products with top-notch quality and we’re confident that we achieve our goals. Nonetheless, we want to assure you that we do offer a money back guarantee if you are less than delighted with our signal boosters. Just contact us at Boosterplanet.com. How to use our money back guarantee: We offer our 30-day money back guarantee to give you time to make sure that your purchase of our product is all that you expect. If you need to return it, we will be happy to provide you with an exchange of the product or a full refund. You need only pay for return shipping and the insurance fees. The shipping fees vary depending on the weight of the package and your personal location. Radiation levels influence our lives in many ways. It is necessary to understand which items may affect us unduly, and which are safe. There are people on both sides of the radiation and mobile signal booster issue, so we will take this time to give you as much information about it as we can. We have many devices and gadgets in our offices, homes and vehicles and every one of them emits a certain amount of radiation into the atmosphere. It may be hard to believe that your TV, radio, laptop and other devices all have some radiation associated with them. There are conflicting views on the subject and new studies are still being conducted. 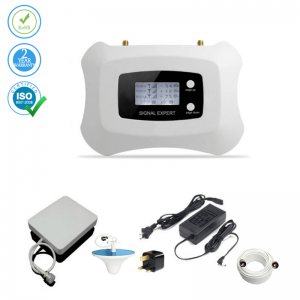 Since we are already surrounded by electromagnetic radiation from our devices, the amount emitted by obtaining a mobile phone booster with its low powered signal, won’t increase the levels in your home dramatically. The most current studies done by researchers show that a cell phone signal booster doesn’t pose any significant additional risk towards human health. The reason being is that the minute amount of power emitted from the amplifier is so low, that even if there are multiple boosters added to the system, one can hardly notice any variation in power emissions. It may be startling to some consumers that a cell phone is considered to be more harmful, according to some researchers in their various studies. It is easy to see why that may be, since most people have their cell phones on their persons or nearby for a majority of the time. These persons will be affected more than those who rarely use their cell phones. It’s important to know that in low network coverage areas, cell phones increase their input power to catch weak signals, thus emitting increased radiation levels. By installing a signal booster, you may actually decrease the potential threat. With this increased signal strength, your cell phone receiver will exhibit less power. Ironically, you may save yourself from high, harmful radiation levels from your cell phones, by using a cell phone booster. 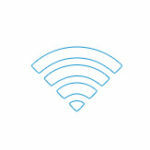 The signal works by traveling on a wireless network, in the form of “waves”, through the air. The weak signal is received by the outdoor antenna and is transmitted to the booster that is indoors. This booster improves the signal, based on the frequency, and sends the enhanced signal through the indoor antenna. 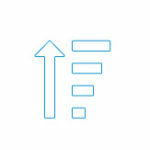 The signal is now immediately available to use in its enriched form. There’s no need to be distressed about how to install your new booster. The following instructions are easy to accomplish! 2 step set up 1. Place the outdoor antenna in a location where you get the best signal reception, then connect the long cable that is provided, between the booster and outdoor antenna. 2. Connect the small indoor antenna to the booster, and finish the installation operation by plugging the power cord into a power outlet. We have done everything we can to ensure that our signal boosters are easy to install and even easier to use. The special technology used in creating cell phone amplifiers helps to enhance your signal in weak reception areas, so you can still complete your important calls. Our U.S. team is committed to your satisfaction and are available 24/7. We realize, that minor issues or anomalies may still occur, even when our customers have installed the booster correctly. If you experience any problem with your signal booster, feel free to call us immediately and see just how wonderful our experienced staff can be, when helping you alleviate any glitches. 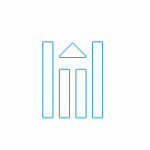 We are available in United Kingdom, France, Australia, South Africa, New Zealand and Canada as well. Booster Planet is a certified product approved by international regulatory certified companies. They pass vigorous examination for product quality according to all the international standards. After examination, Seller Standard gives the seller up to 5 years maximal period approval to sell . We pass these stringent examinations to meet the requirements of offering cell phone signal boosters up on expiry of the certificate.